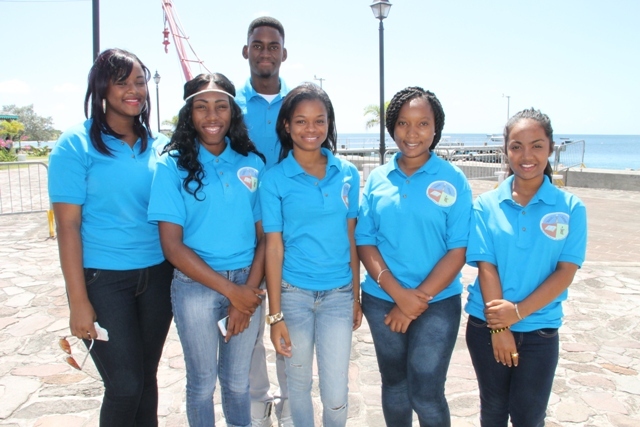 The Nevis 6th Form College’s Literary and Debating Society Debaters (L-R) Neila Jones, Kelsia Liburd, Richard Matthew, Kerianne Pinney, Serena Browne and Chandine Joyalall off to St.Kitts for the Leeward Islands Debating Competition on Wednesday 25th February, 2015 at the Charlestown Pier. NIA CHARLESTOWN NEVIS (February 26, 2015) – The Nevis 6th Form College’s Literary and Debating Society is scheduled to participate in the annual Leeward Island Debating Competition. The Clarence Fitzroy Bryant College (CFBC) Literary and Debating Society will host the 43rd annual Leeward Islands Debating Competition (LIDC) in St. Kitts. The Competition will commence on Thursday 26th February and conclude on Sunday 1st March, 2015 at the St. Kitts Marriott Resort Ballroom. Premier of Nevis and Minister of Education Hon. 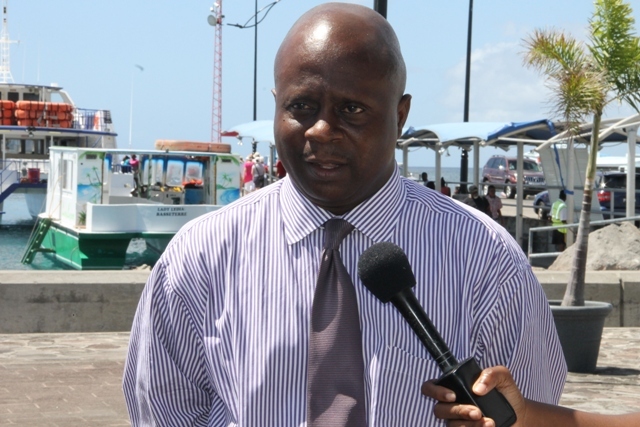 Vance Amory, was on hand at the Charlestown Pier to see the debaters off to St. Kitts on February 25, 2015, and gave them blessings on behalf of the Nevis Island Administration (NIA). He also advised them to focus and perform to the best of their ability for they had his full support. Also present was Permanent Secretary in the Premier’s Ministry Wakely Daniel. He told the debaters that he was confident their hard work, dedication and perseverance would see them through. A contingent of 32 persons including Staff Representative Joshua Browne would accompany the six debaters who are: Chandine Joyalall, Serena Browne, Kerianne Pinney, Richard Matthew, Kelsia Liburd and Neila Jones. Nevis’ 1st debate is slated for Friday 27th February, 2015, and they will compete with St. Kitts. About 200 High School and Sixth Form students, accompanied by their staff sponsors from seven Leeward Islands from the British Virgin Islands (B.V.I), St. Kitts, Nevis, Anguilla, Montserrat, Antigua and St. Maarten, will converge on St. Kitts for the debate. 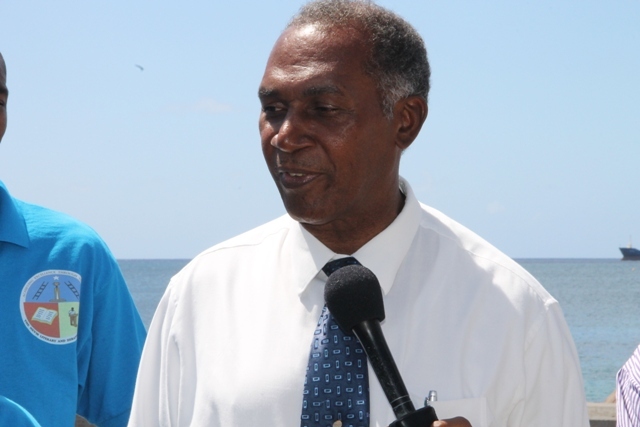 Persons from Nevis interested in travelling to St. Kitts for the debate, are advised that the ferry leaves the Charlestown Pier at 4 p.m. for St. Kitts and will leave for Nevis a half hour after the debate.